Sod is one of the most expensive ways to install a new lawn. Careful preparation of the soil before sod is laid is extremely important to protect your investment. So is choosing the right type of sod for your region and environmental conditions. Once you've cultivated, amended the soil, raked it smooth and watered it, sod can be laid for an instant, lush lawn. Care of new sod in the first weeks -- especially irrigation -- is critical. Insufficient water is a problem, but so is too much. 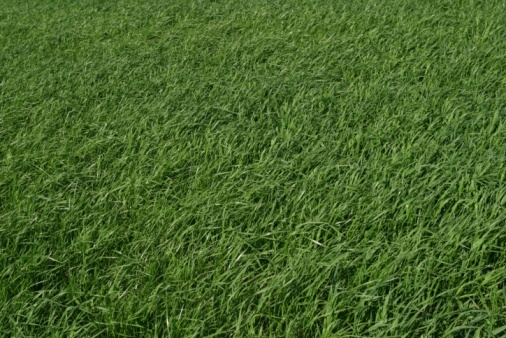 Healthy sod is consistently green and doesn't have puddles on the surface. Watch the new sod for color changes. If you see the leaf blades turning a grayish-green, pull up a corner of the sod. If the soil is wet and mushy, you're watering too much. Let the sod dry out until the top 2 inches of soil are dry and crumbly. Washington State University recommends early morning watering, which allows soil and grass blades to dry out thoroughly during the day. Walk on the sod. If water comes up around your shoes and makes a squishy sound, the lawn is getting way too much water. Look for puddles at lower elevations in the lawn as well as any depressions. Excess water runs down hill and collects in these spots. Puddles are a sure sign of overwatering. Pull up pieces of the sod in different areas after the sod has established for a few weeks. Healthy sod that gets the right amount of water will resist the pull because the roots are healthy and growing. Overwatered sod will come right up because its roots are dying or dead. When the roots get too much water, they soften, rot and die from lack of oxygen. Look for weeds that thrive in moist conditions. This is a very late symptom of over watering that's been going on for a long time. As the sod fails, weeds will pop up because of the excess water. Buttercups, speedwell, crabgrass and broadleaf weeds cropping up in the sod lawn are all sure signs that the grass is on the decline and weeds are taking over.